Hurry over to Amazon and check out this STEAL of a Deal. The Wild River Tackle Tek Nomad is marked down to a crazy good price as a part of these Amazon Gold Box “Fishing Essentials Deals”. We love this backpack and at this price it’s an absolute no-brainer. Go get one! Check out the rest of the Gold Box Fishing Essentials Deals HERE! 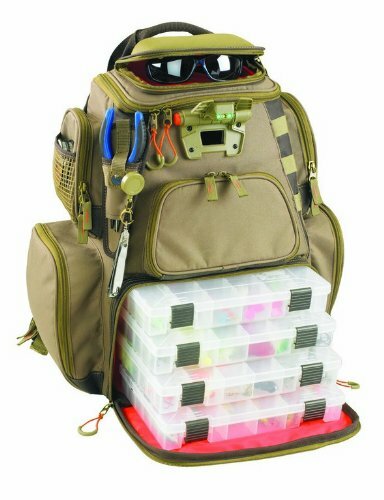 Own and use a Wild River Tackle Tek LED Tackle Backpack ? Take advantage of this Ice Fishing Deal? Give us your two-cents in the comments below. Posted on April 17, 2018 by IFDPosted in All Deals, Rod & Tackle StorageTagged Amazon, nomad, Tackle Backpack, Tackle Bag, Tackle Tek, tackle-storage, Wild River, wild-river-tackle-tek-nomad-backpack.